ashlee nicole spills | blog: In Case You Missed It: Tiny & Toya on Chelsea Lately. 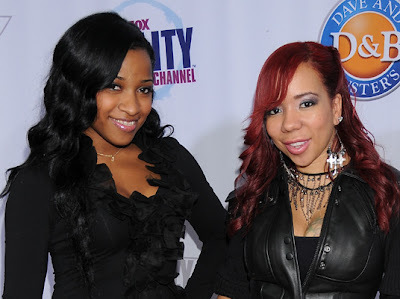 In Case You Missed It: Tiny & Toya on Chelsea Lately. TIny and Toya appeared on Chelsea Lately to promote the new season of TIny and Toya. I knew it was going to be pure hilarity after seeing Chelsea's face when they showed a clip of the show. I actually laughed during the entire interview. I love how Chelsea gets her little hits in and all the guests can do is laugh. She is über hilarious!